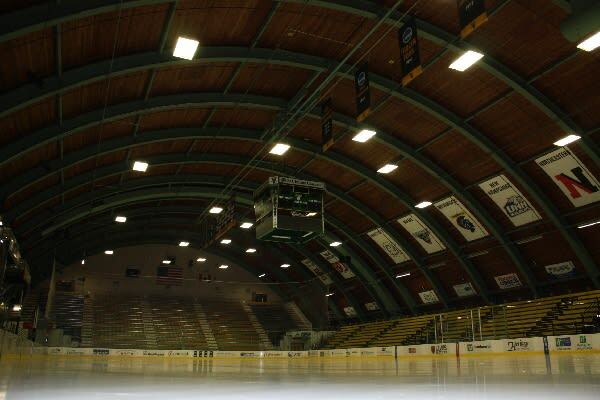 When you take a trip to Gutterson Fieldhouse in Vermont, be sure to remember that it’s what’s on the inside that counts. Like Vaillant Arena in Switzerland, Gutterson embraces visible wood in its construction.The barrel-vaulted arena is impressive from the inside and the warm wood paneling that arches overhead only adds to the traditional barn atmosphere of the rink. Despite being the largest indoor arena in the state, the Vermont Catamount ice hockey games almost always sell out. An ideal place to get a local college town experience - if you can score a ticket.